Chicago’s WXRT-FM/93.1 can’t get enough of the China Girl. The song was released by David Bowie on his 1983 smash hit album “Let’s Dance” and reached No. 2 on the U.K. singles chart and No. 10 on Billboard. Since then it’s become the most widely played song on “Chicago’s Finest Rock,” sometimes airing three times per hour. Musicians on the record include former Smashing Pumpkins bassist D’arcy and Chicago Cubs broadcaster Len Kasper. The song made its debut Friday and will receive regular play not only during “Holiday Nights” but every day. And there’s even more good news. This year marks the first time during “Holiday Nights” that ‘XRT is mixing in its regular, all-too-familiar classic songs with the Christmas tunes. 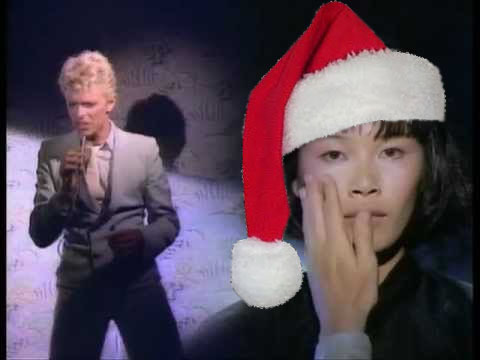 “So now you can still hear the regular version of ‘China Girl’ alongside ‘Christmas China Girl,’ ” Brehmer said.